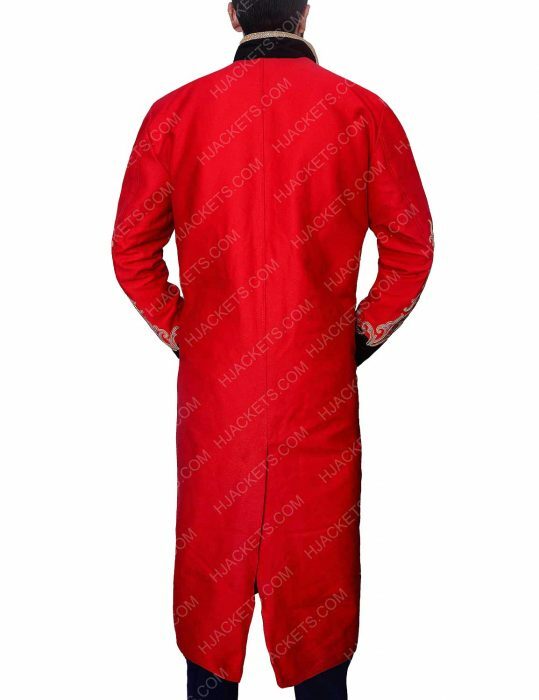 We are looking towards a great satin polyester blend garment duo decor having all the classiness intact when it comes to accumulate appraisal from onlookers. 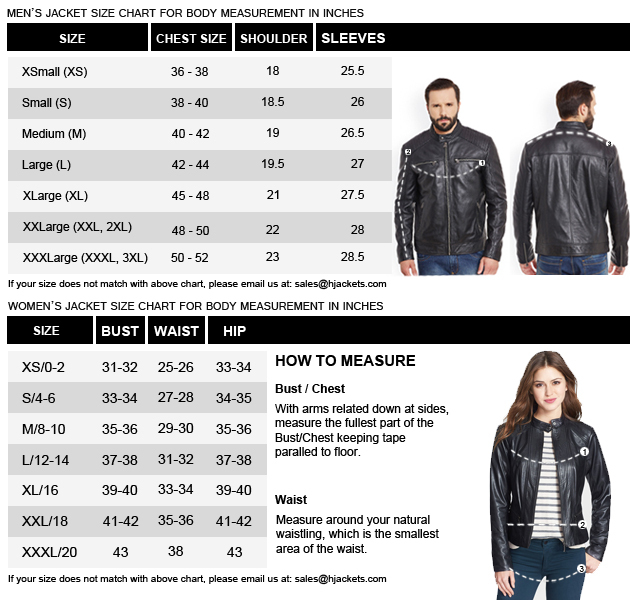 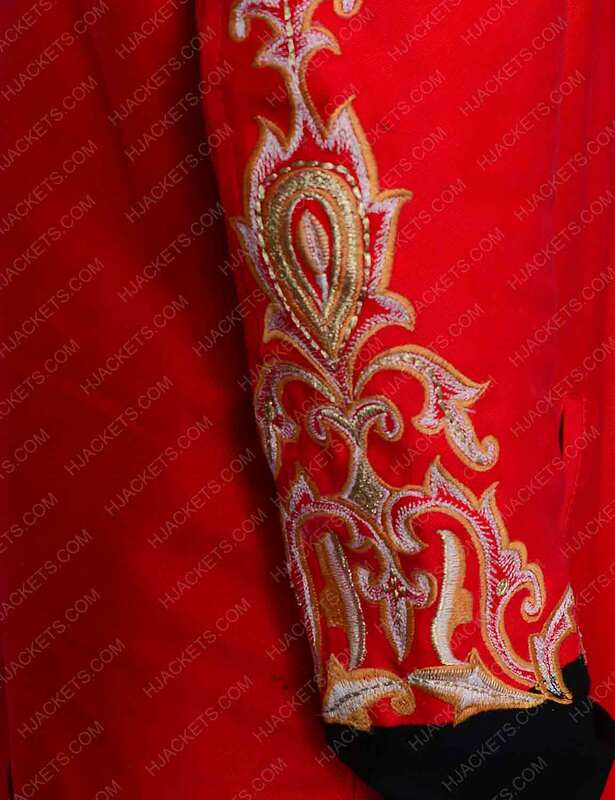 Besides, the vest is made up of a top quality cotton fabric which goes splendidly over the sleek embroidered covering. 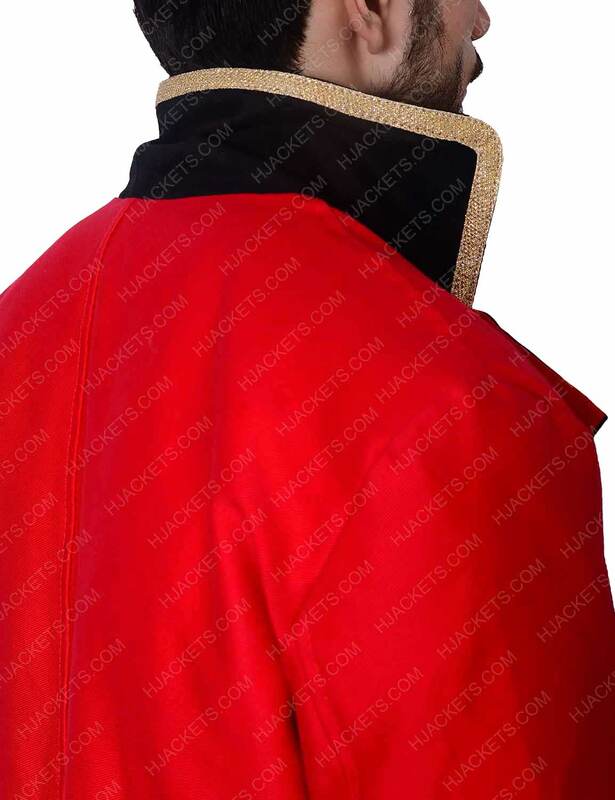 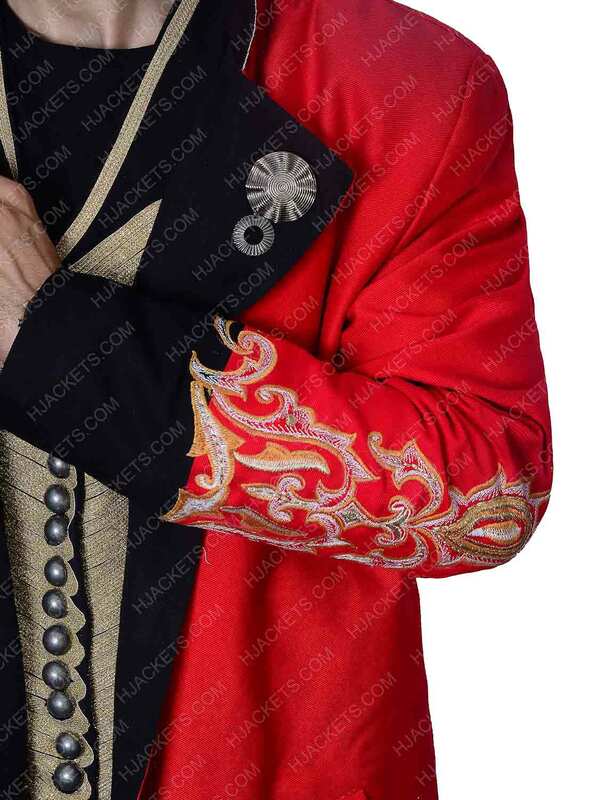 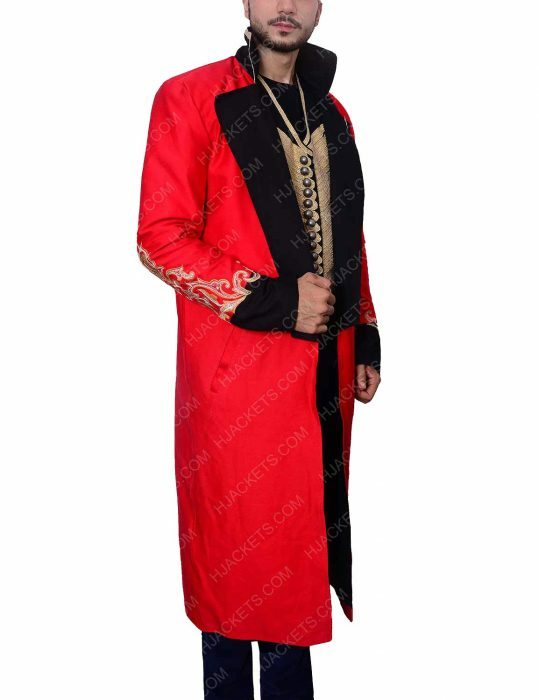 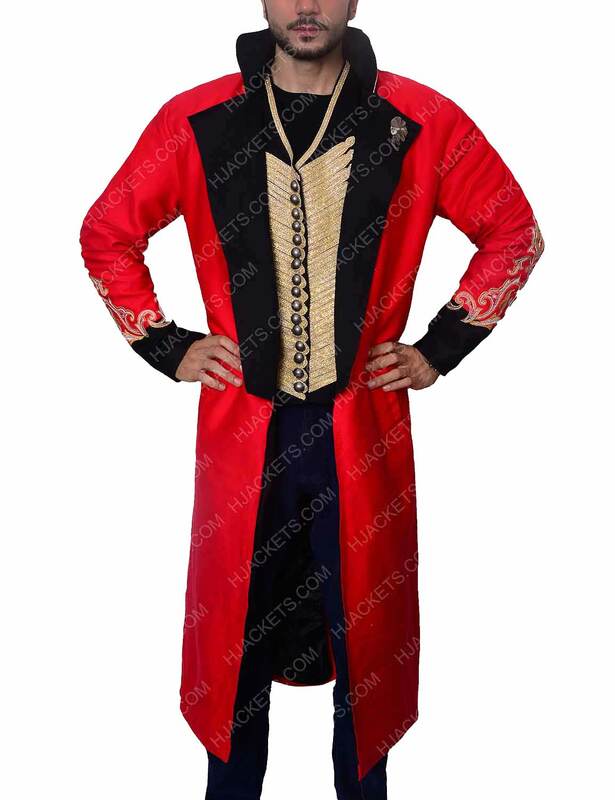 The Pt Barnum Costume red coat and vest has all the embellishments that men could gracefully gear on. 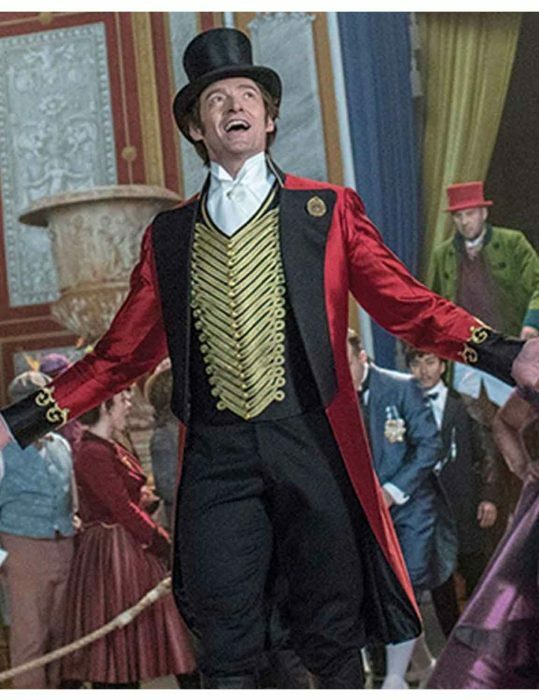 A faultless finery having on-screen depictions with day-night hard work dedications. Features ingrained on this exclusive The Greatest Showman Costume encompasses elegant traces and touches that are exactly matching to its state gesturing state-of-the-art clothing counterpart. 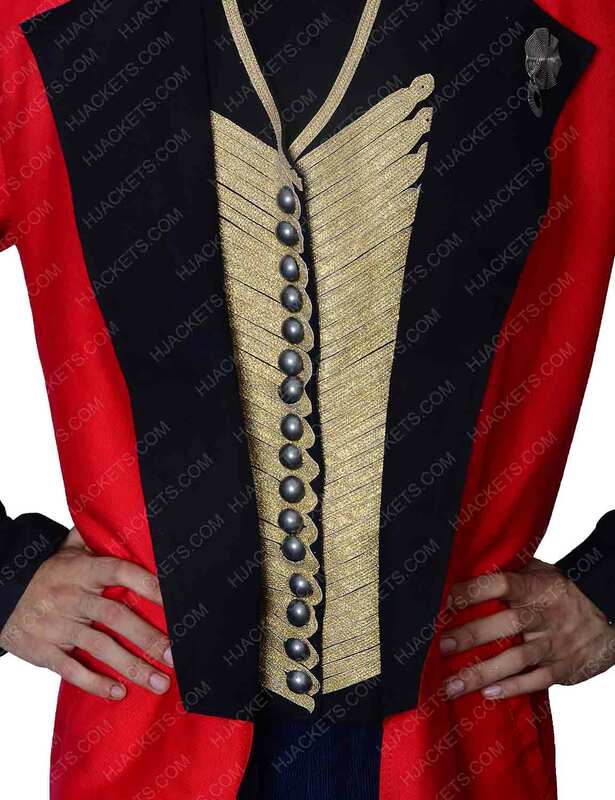 An inner viscose is cozily supple, the shades of black and ruby red really adds a brightly vivid escalation to this Hugh Jackman vestment and a stand collar with an inculcated lapel is dressily civil. 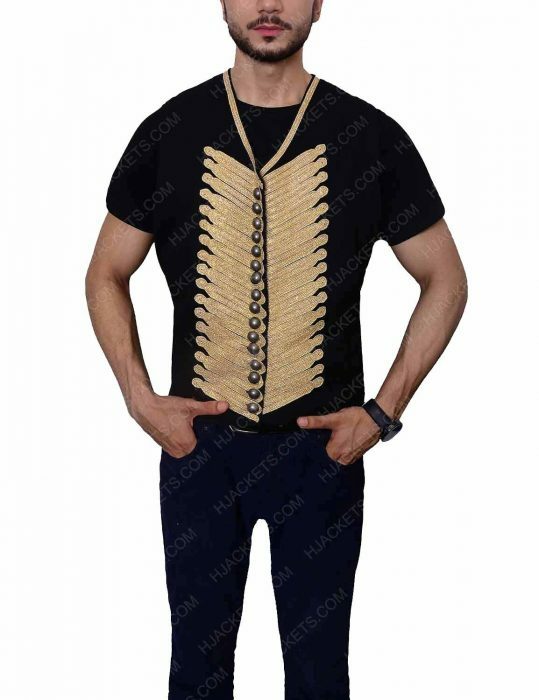 Likewise, the vest seats a v-shaped neckline and golden stripe whirled garlands is wonderfully depicted over its facade, coat’s open styled front is generously genteel and looks really gorgeous as an apt attire fit on retro habiliment trendy men. 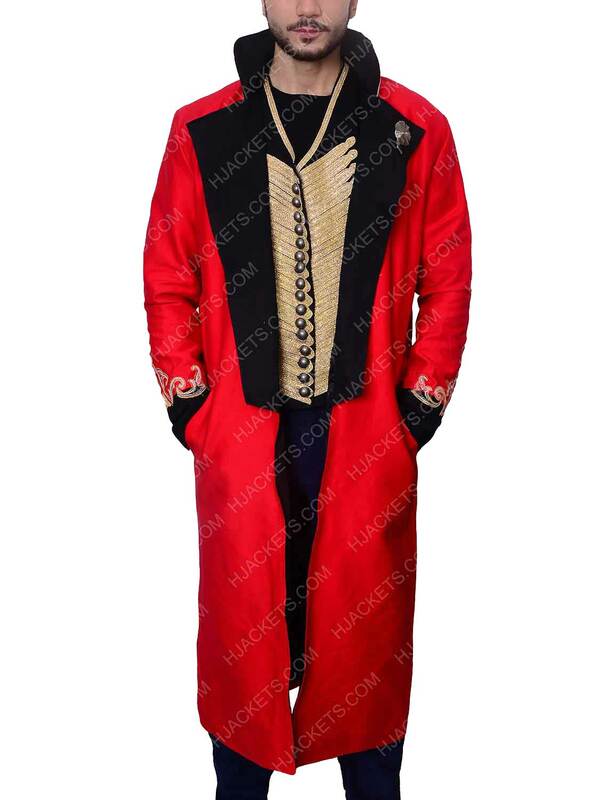 Overall, the coat and the vest is a wear enterprising rhyme which lets you steal the show with your noblemen stage presence and performance.